Born in Tehran, repatriated to Armenia in 1975. She is one of the founders of the Inqnagir literary community and author of four poetry collections. In March 2013, she spoke in support of Raffi Hovannisian within the protests caused by the 2013 presidential election results. Her poems have been published in their French and English translations, the most recent are anthologies named From Ararat to Angeltown (2005), The Other Voice: Armenian Women's Poetry Through the Ages (2005) and Deviation: an Anthology of Contemporary Armenian Literature (2008). Her poems have been translated to Georgian, Macedonian, Ukrainian and Slovak. Dňa 15.10.2013 sa v Londýnskej knižnici Books and Kitchen konalo stretnutie s názvom Poetry from Armenia in London. Tohto stretnutia sa zúčastnili dve talentované arménske spisovateľky Violet Grigoryan a Hasmik Simonian. Síce tieto ženy patria do rôznych generácií zdieľajú jednotnú filozofiu. Na stretnutí čítali z knihy Six Armenian Poets na ktorej tvorbe sa obe podieľali. Poem that I find really interesting and I liked the most is "The City". In 1998, VIolet Grigoryan won the Golden Cane prize in literature for it. The fair is foul and foul is fair, fair is foul and foul is fair, the fair’s not fair, the foul’s not foul…. Violet Grigorian was born in Teheran. In 1975 her family repatriated to Armenia and now she lives in Abovian, Armenia. She studied Philology at the Yerevan Pedagogical Institute. Grigorian's first book came out in 1991 in Yerevan: "Verily, verily I say". The book took the annual award of the Writers' Union of Armenia. Later, it was republished in Los Angeles, U.S., in 1998. The same year, her long poem "The City" was published in Los Angeles as a book to take the "Golden Reed" state award in Armenia for 1999. 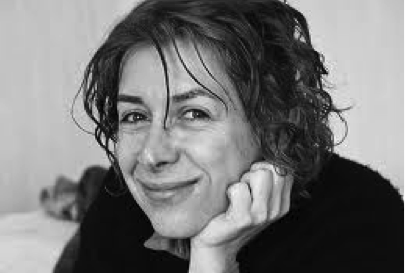 In 2000, within the framework of the Festival East-West in France, Editions A Die published a book of her poems translated into French: "Que cet hiver est rude". She participated in 2002 at the Struga Poetry Night. This is the flesh, surrendered to love. This is the blood, fervent in the veins. that I’ve spread before my lover. kiss me and you will never die. of death with a kiss. Kiss me and I, too, won’t cease! your kiss will break this wall of Chinese sadness. and sweep away the contents of your honeycomb. skillful, as if gliding over piano keys . . .
and be a guest in the camp of love? in God’s game of chance. and throw your anchor in my bay. for you are consecrated and I─your faith. sweet is your burden, your weight is so light. recite verses of love and conquests of passion. and all your trails lead to me. and wave your flag above me. inhale me deeply, and oh exhale, exhale! none is equal to you of those born of women . . .
blessed I am, my master’s servant, for being chosen of all women . . .
for this Self is in the house of love . . .
that tightens and loosens, a rocking swing . . .
the shores of bliss . . .
Violet Grigorian was born in 1962 in Tehran, Iran and repatriated to Armenia in 1975. She graduated from the Abovian State Pedagogical Institute’s Department of Philology. Grigoryan is one of the founders of the literary journal Inqnagir and she currently serves as its editor. The author of four books of poems, she has won the Writers’ Union of Armenia poetry award for “True, I’m Telling the Truth” (1991), and the Golden Cane prize in literature for “The City” (1998). Her poems have been anthologized in France, and in the English-language collections The Other Voice: Armenian Women’s Poetry through the Ages (2006) and Deviation: Anthology of Contemporary Armenian Literature (2008). She is a member of the Writers’ International PEN fellowship. Information about the author. And poem My Homeland. I flounder like a butterfly pinned. waiting for my forefinger to release the spring. now I'm a bloodsucker stuck on your vein. and I will have a chance no more. surely it is a losing game. Yet I pardon you, my homeland dear.